21 Savage's lawyer has come forth to clarify details surrounding his arrest. TMZ reported this morning that a police report indicated that a fully-loaded Glock was found in the glove compartment of his vehicle which officials believe belong to the rapper. Brian Steel, 21's lawyer, clarified that neither the gun or the vehicle he was driving in belonged to the "A Lot" rapper. Alex Spiro, the attorney Roc Nation hired to help 21 Savage, disputed claims that the ATF arrested the rapper. "ICE has confirmed he was targeted for immigration enforcement and nothing more. He was never arrested by the police, and some other individual's firearm and vehicle is not our concern here," Spiro said. 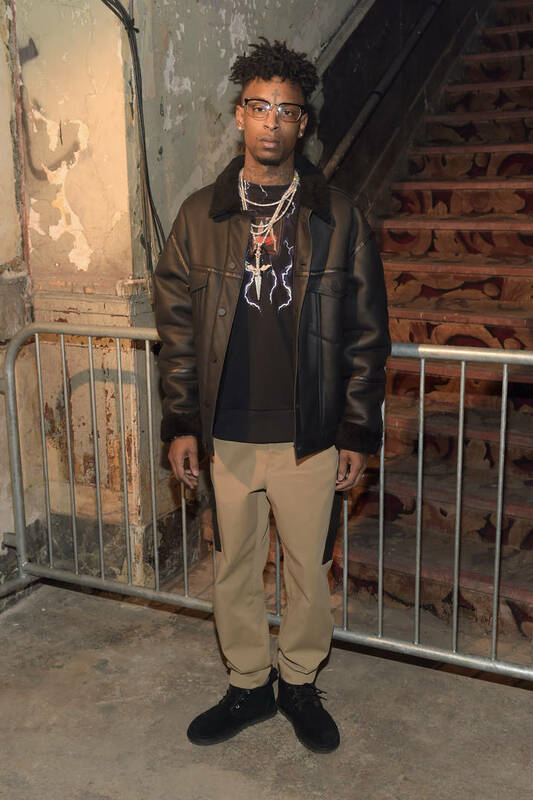 Earlier reports claimed that 21 Savage was pulled over after he was "driving recklessly" and nearly crashed into a cop car. They also said that he was driving across a sidewalk in order to get to another street. They claimed they found a Glock with an extended magazine after the rapper was cuffed and taken away. ICE's involvement in 21's arrest still remains unclear. The tabloid publication reported that they weren't listed at the time of the rapper's arrest in the police report. The DeKalb K-9 Unit, Vice Unit, Narcotics Unit, ATF, Georgia State Patrol, and the DeKalb 90 Unit was listed as being present during the rapper's arrest. ATF later reassured that ICE was present at the scene.